In keeping with the directions that Campbell left in his will, Conti also took along all of his dummies to be retired in the Vent Haven museum, which displays the dummies of dead ventriloquists. Amongst the dummies retired was Granny, who was given to Conti by her mentor. However, Conti had a replica made and the old Scotswoman remains a part of her act. Her main puppet Monk makes an early appearance in the Dolly Mixtures show, acting as master of ceremonies. Other characters include a dangerous dog, who is trying to escape his violent past, a sleazy European builder and a younger version of Conti herself. See here for more details on the Dolly Mixtures tour. 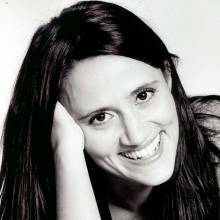 To book Nina Conti for your event, call Prime Performers on 020 7251 8222, complete our online enquiry form or email us at info@primeperformers.co.uk.